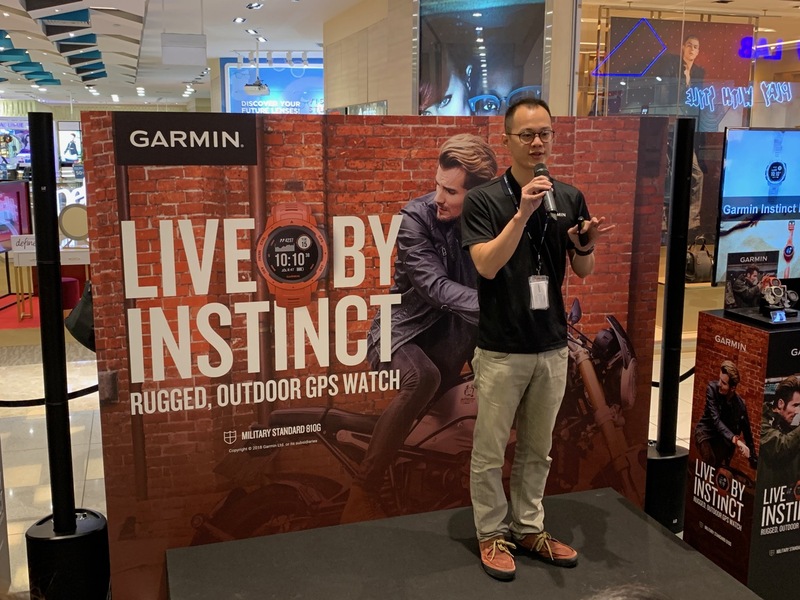 Garmin Singapore just announced the Garmin Instinct, a strong and durable GPS watch with built-in 3-axis compass and barometric altimeter, plus multiple global navigation satellite systems (GPS, GLONASS and Galileo) support and wrist-based heart rate. 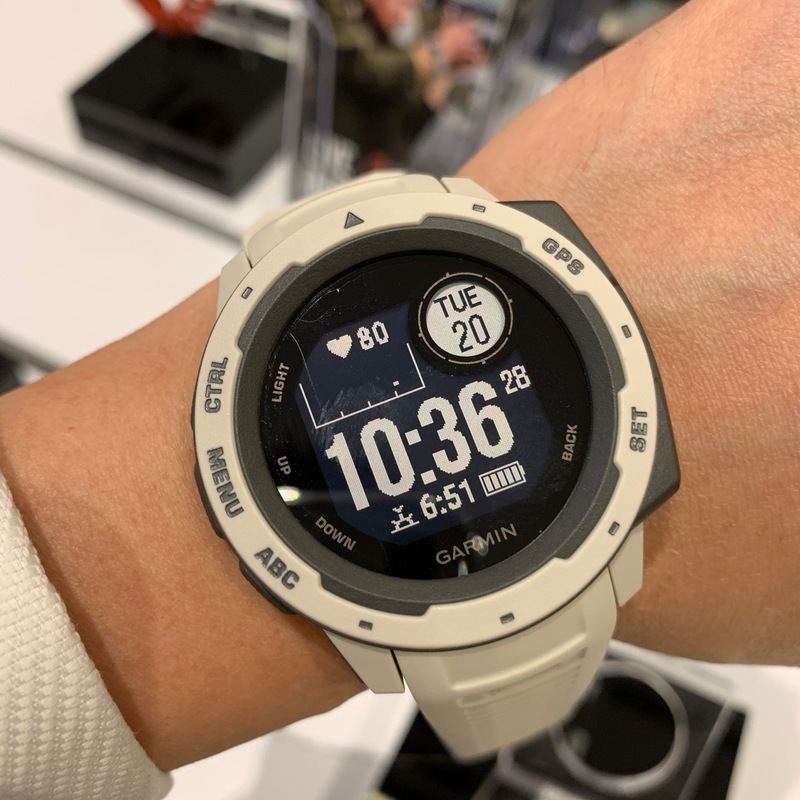 In addition to key GPS data, ABC (altimeter, barometer and compass) and heart rate sensors, the Instinct includes built-in sports apps, smart connectivity and wellness data. of 122 cm). Its water resistance is rated to 100 meters, and it is also corrosion resistant, retaining its durability in salt-rich maritime environments. The Instinct is also built with a chemically-strengthened and scratch-resistant display that’s easy-to-read, especially in direct sunlight. Plus, the fully-vented silicone bands include two independent, removable keeper loops to ensure a secure fit. While in the field, feel confident exploring off the beaten path thanks to the Instinct, which features multiple GNSS satellite networks to help track a user’s location in more challenging environments than with just GPS alone. 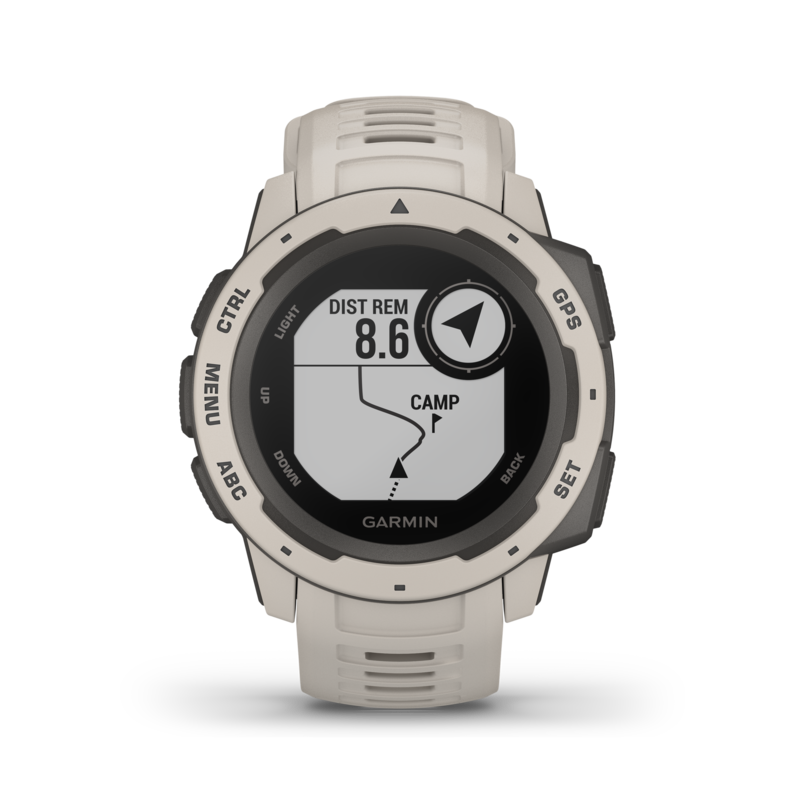 The Instinct provides comprehensive navigation and tracking functionalities, using GPS plus ABC (altimeter, barometer and compass). 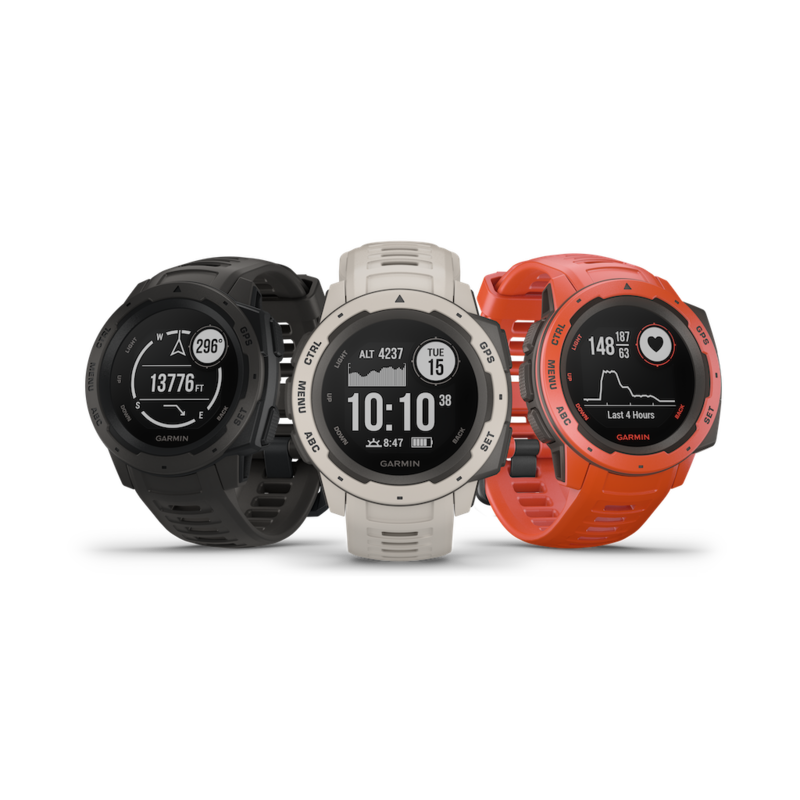 Before venturing out, use the Garmin ExploreTM app to plan the trip in advance and when it’s time tohead back to camp, the TracBack® feature on the watch can navigate the same route back to the original starting point. With built-in wrist-based heart rate, users can monitor daily activity, stress, sleep and other wellness data1. 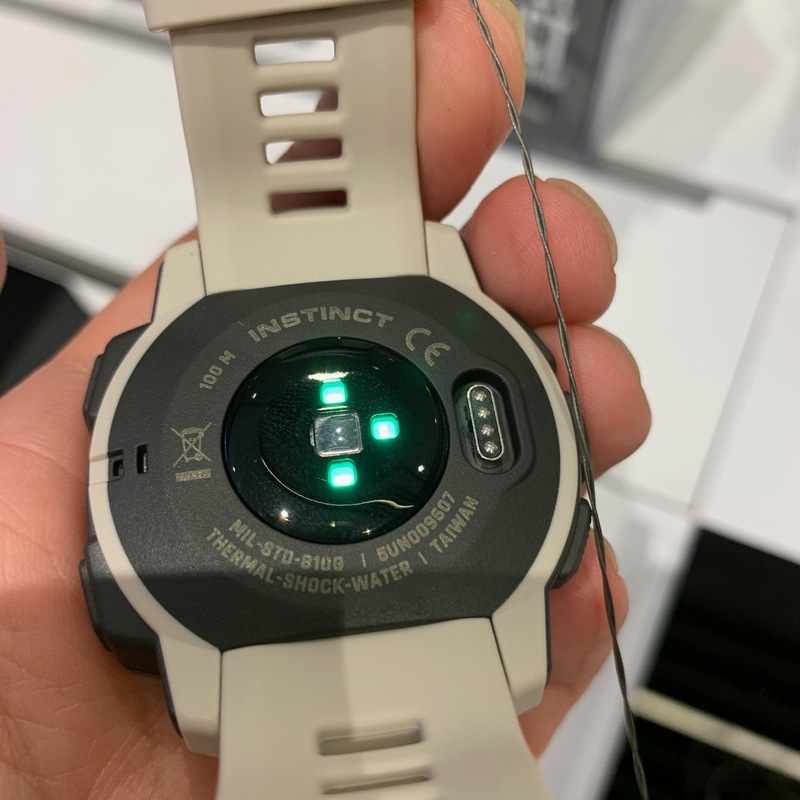 Whether camping, on a training run or going through day-to-day activities, Instinct keeps track of heart rate, steps taken, distance traveled, calories burned and more. Hiking, running, biking, swimming, kayaking and skiing are just a few of the activities supported on the device. Through heart rate variability, the Instinct can track stress levels, allowing the user to be more aware of when physical or emotional sources may cause stress levels to rise. When paired with a compatible smartphone, Instinct users can leave their phone packed away and protected while they receive smart notifications like texts, emails and other alerts right on the wrist. 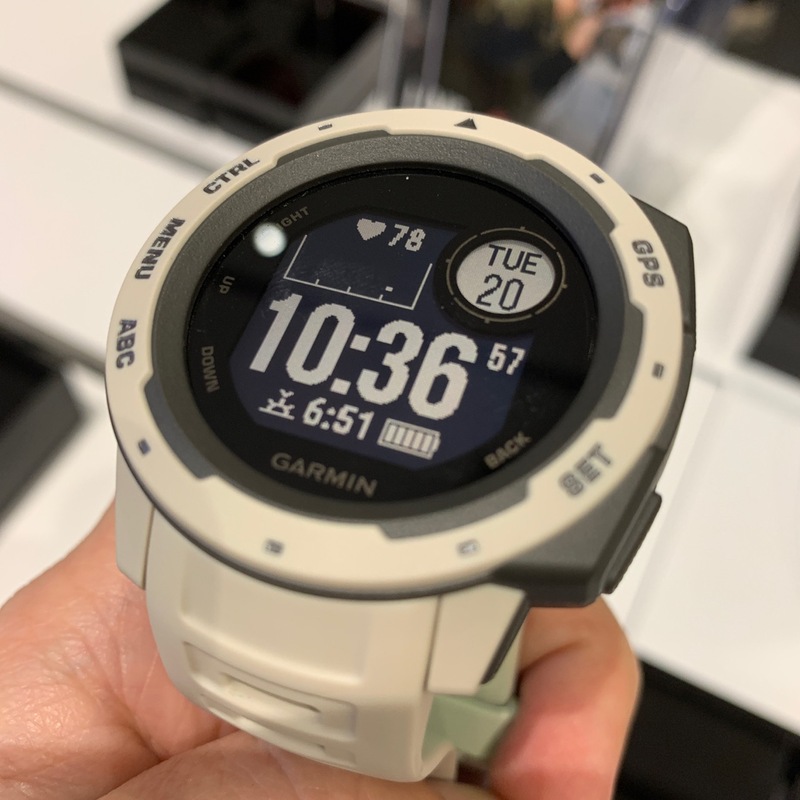 The Instinct is compatible with Garmin ConnectTM, an online fitness community where users can track workouts, sleep patterns such as how much time spent in light, deep and REM cycles, and even compete in virtual fitness challenges. 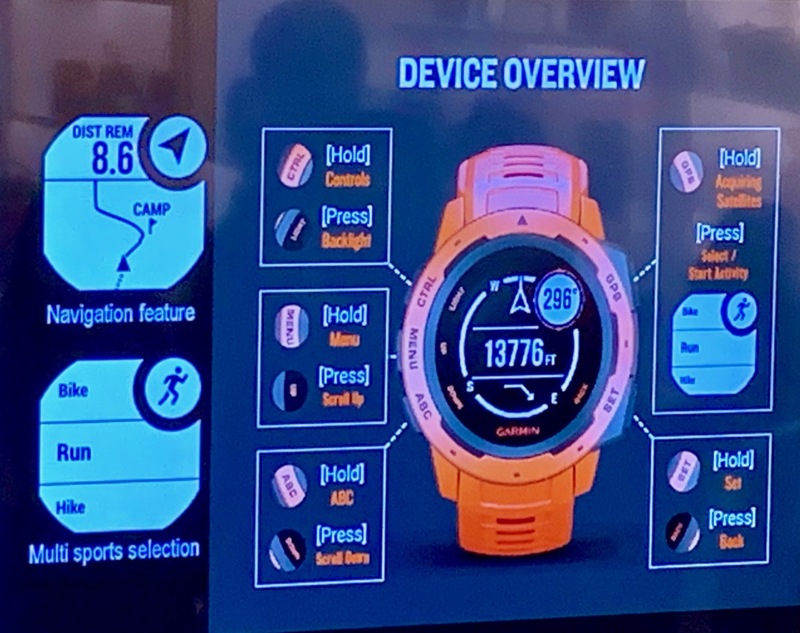 The Instinct will also be compatible with other Garmin devices including inReach Mini, VIRB action cameras. 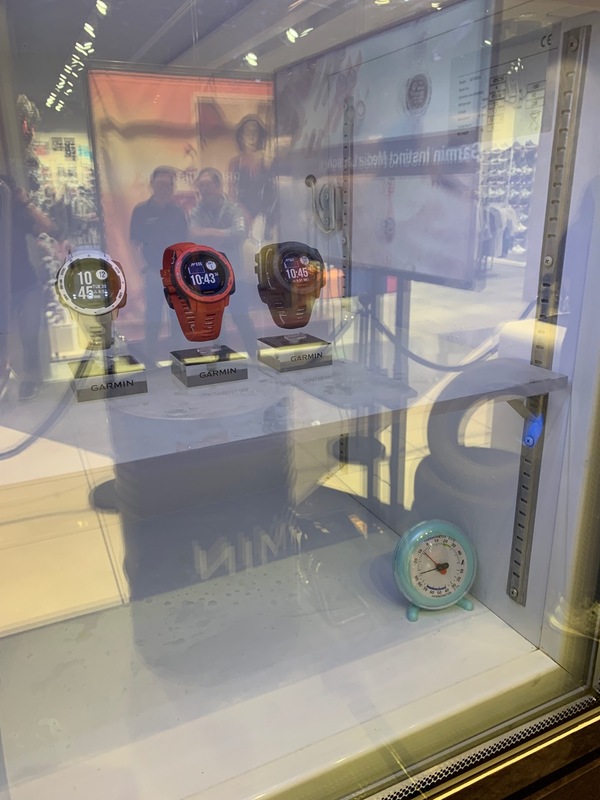 Send and receive inReach Mini satellite communication messages,declare an SOS, control the VIRB start and stop function and alerts for viewing at a glance on the watch. 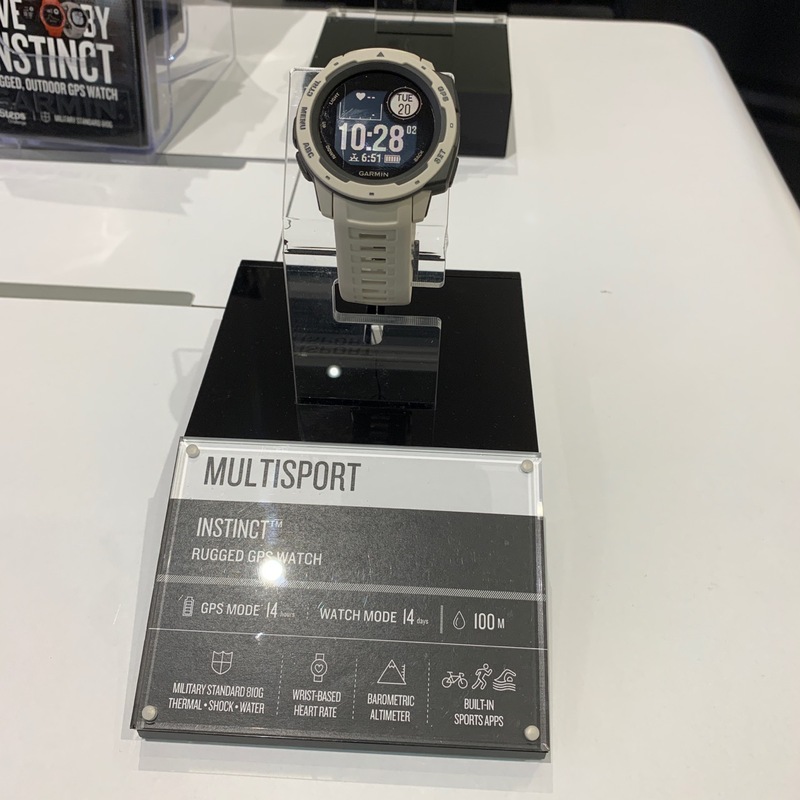 The Instinct features a battery life of up to 14 days in smartwatch mode, up to 14 hours in GPS mode, and up to 35 hours in UltraTracTM battery saver mode. It is available in Graphite, Tundra and Flame Red for a suggested retail price of S$499. 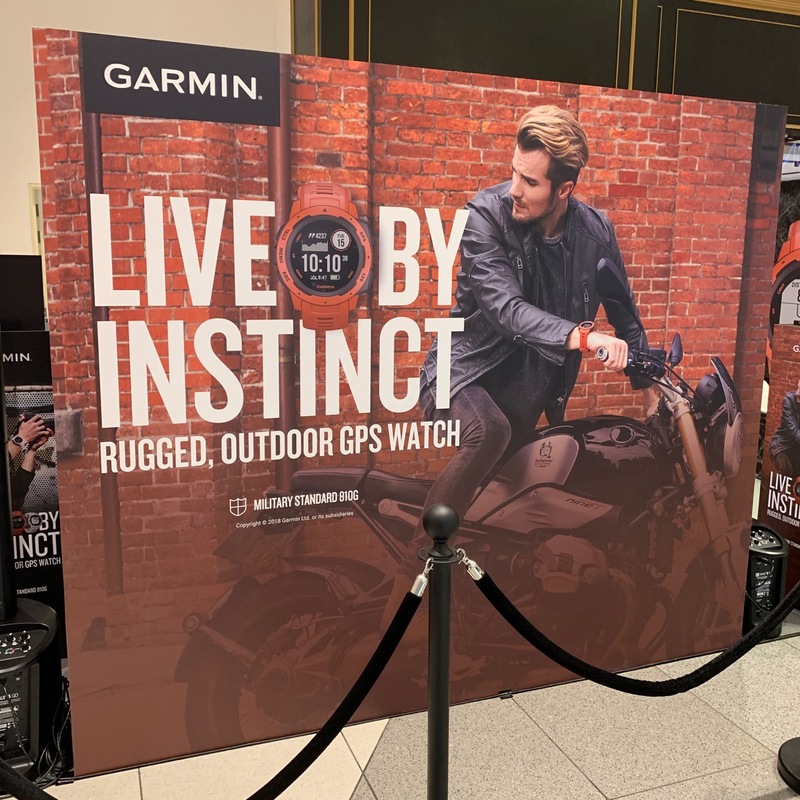 The Instinct is the latest solution from Garmin’s expanding outdoor segment, which focuses ondeveloping technologies and innovations to enhance users’ outdoor experiences. 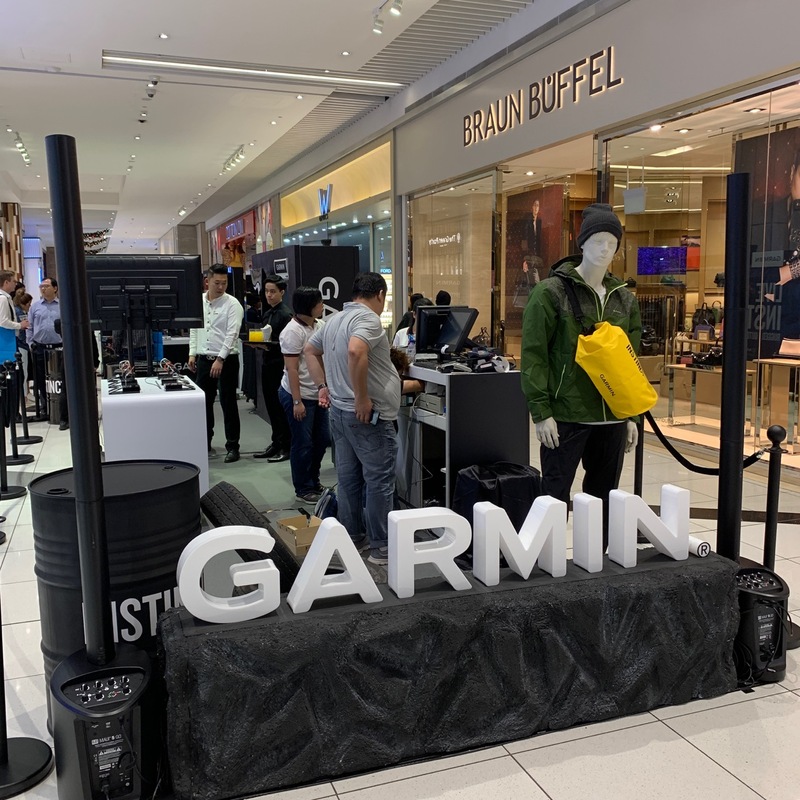 Whether hiking, hunting,trail running, mountain biking, golfing, diving or using satellite communication, Garmin outdoor devices are essential tools for outdoor enthusiasts of all levels.